The Alliance Healthcare Foundation is a non-profit organization promoting quality healthcare for the medically underserved in San Diego County. 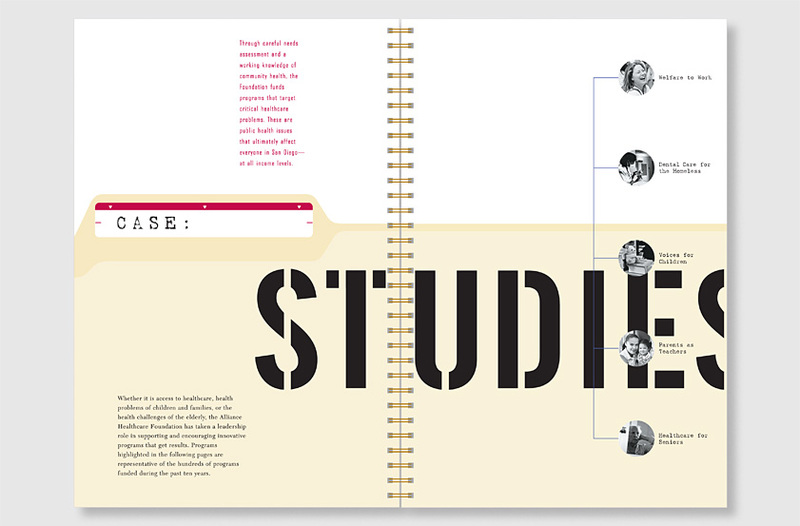 Our solution for the Alliance’s biennial report conveys the theme of “Making a Difference,” using case studies to demonstrate how their programs achieve measurable results and improve lives. 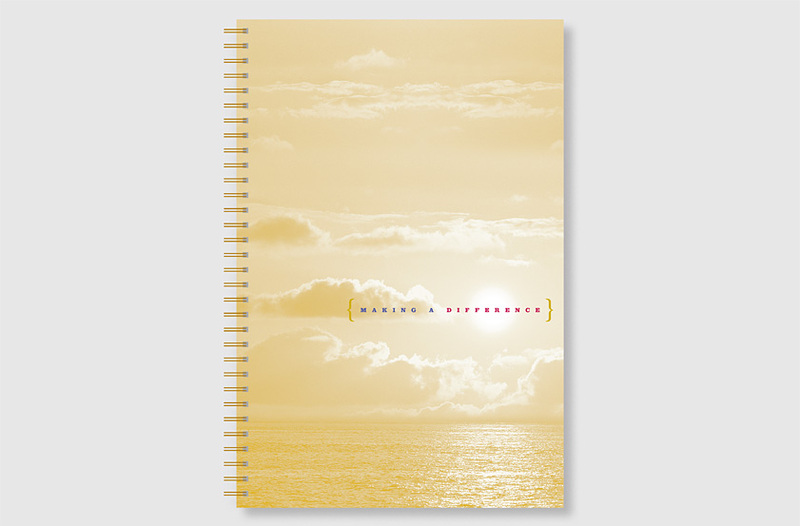 Their tagline, “Programs for Healthier Communities,” is spread over three pages to represent the scale and impact of their commitment. 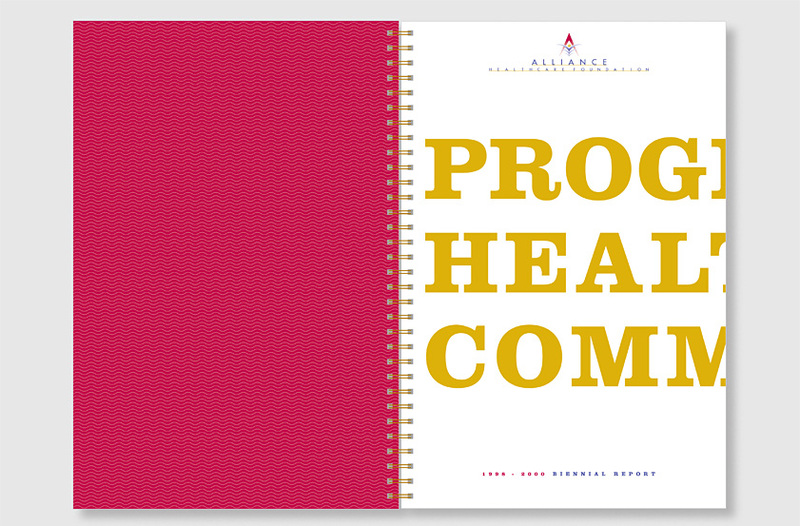 Much like a corporate identity manual, the Alliance introduces their new brand with a vellum overlay identifying elements of their new logo and the qualities they represent. 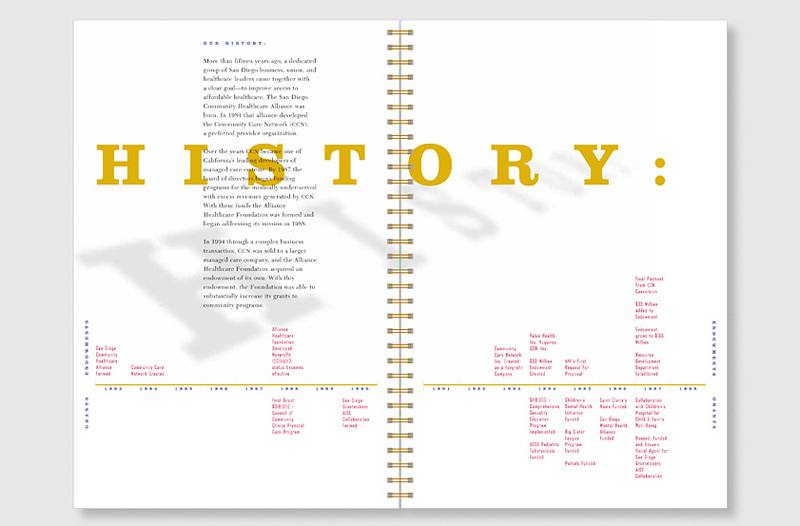 The Alliance’s 15-year history is presented in a timeline documenting important milestones of the organization’s development. The case studies demonstrate “The Difference” made by the Alliance’s programs in Training, Access to Care, Advocacy, Knowledge, and Proactive Care. 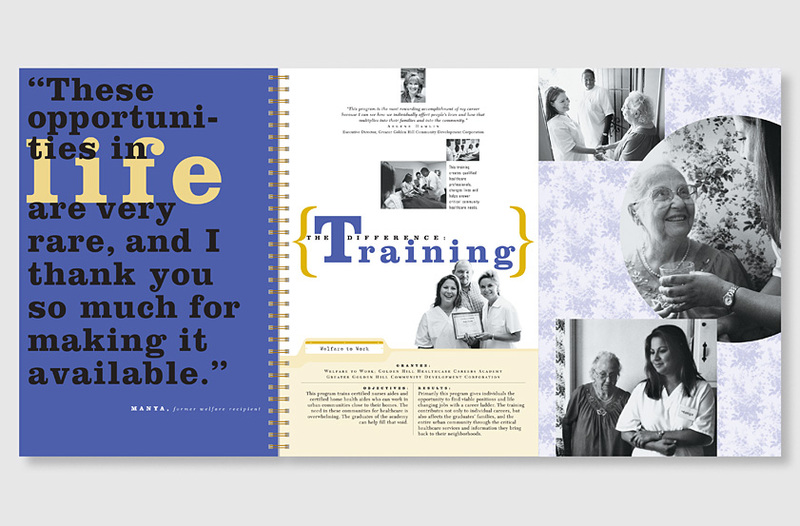 Each case study begins with a gatefold featuring a quote from a participant who has directly benefitted from an Alliance-funded program. 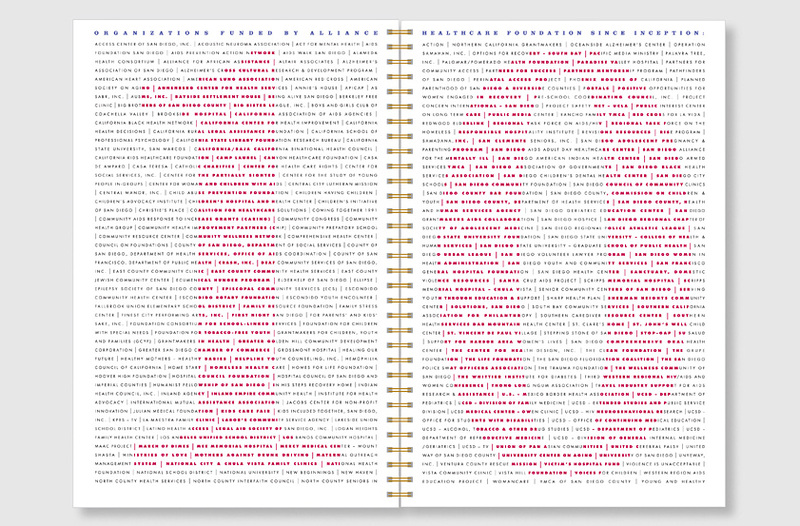 The gatefold opens to reveal a statement from the program director, program goals, and program results. 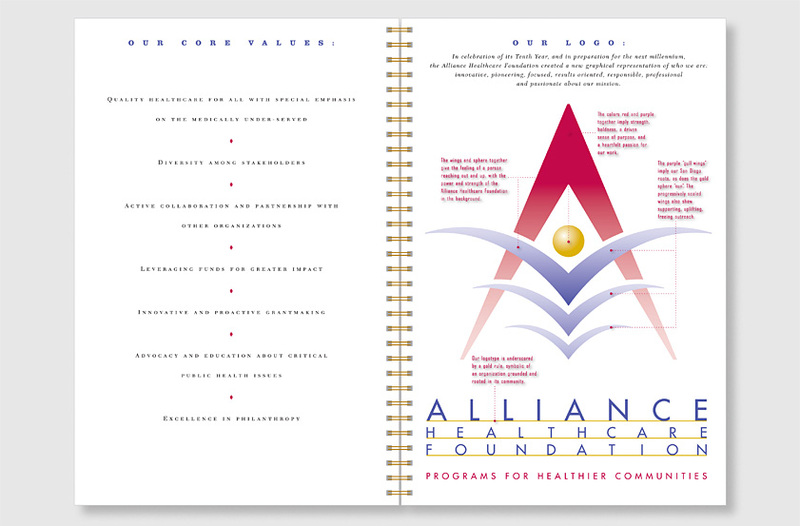 The Alliance commemorates 10 years of supporting “Programs for Healthier Communities” with a spread recognizing each organization they have funded. By emphasizing the Alliance’s results in “Making a Difference,” the report sparked a significant surge in donors, enabling the organization to increase funding and expand its operations.